Years ago when “waxless” skis were introduced to the market, recreational cross-country skiers rejoiced. No more sticky kick wax to deal with (particularly of the klister variety) and no more trial and error to achieve the ideal grip for diagonal striding. These waxless cross-country skis instead featured a fish scale-type pattern in their bases (in the kick zone or wax pocket), which replaced the need to apply kick or grip wax. Fantastic! Less ski preparation means more time for cross-country skiing. As an all-around classic ski, waxless cross-country skis are perfect for hobbyists, recreationalists, and citizen racers because they function well in nearly all conditions. Although their performance will never compare to a waxable classic cross-country ski that is waxed for the specific conditions in which it will be run, that’s OK. The majority of people I know who cross-country ski do not actually race or need anything close to resembling race performance equipment. That said, being able to simply put on your skis and hit the trails does not tell the whole story of waxless cross-country skis. Without question, the use of the term “waxless” in the marketing of cross-country skis that feature a scale pattern in the kick zone has worked terrifically. However, in this context waxless only refers to the use of kick wax. You still need to routinely apply glide wax to the ski’s tips and tails (the areas of the ski base without fish scales). Unfortunately, many people never got that memo and have been cross-country skiing on skis that have dry, oxidized, and dirt-laden bases for years (and probably are wondering why their skis don’t quite glide like they used to). I can’t emphasize enough that you need to apply glide wax routinely to the tips and tails of your waxless cross-country skis. Enjoyment: a cross-country ski that does not glide is no fun. Period. Although there are a million fine details to learn, technically speaking there are only three phases to classic cross-country skiing technique (push-off, weight transfer, and glide). By not routinely applying glide wax to your skis you eliminate the third (and arguably most enjoyable) phase of cross-country skiing. You also are forced to compromise your cross-country skiing technique to accommodate skis that do not glide (for which they are designed). If you’re skis constantly stick to the snow because you’re unwilling to properly wax them, you may as well just put them back in the shed and throw on some snowshoes. Maintenance: glide wax helps to preserve the bases of cross-country skis by keeping them moisturized (prevents oxidation of the ski base fibers), generally free of dirt (skis will always accumulate dirt in some form, but at least it becomes more attached to the wax rather than the actual fibers of the ski base), and lubricated (in those cases where you find yourself dealing with debris on the trail, the layer of wax will act as a thin barrier between the debris and ski and hopefully prevent the base from getting too scratched). Safety: a cross-country ski that does not glide is no fun. A cross-country ski that does not glide is also not safe. 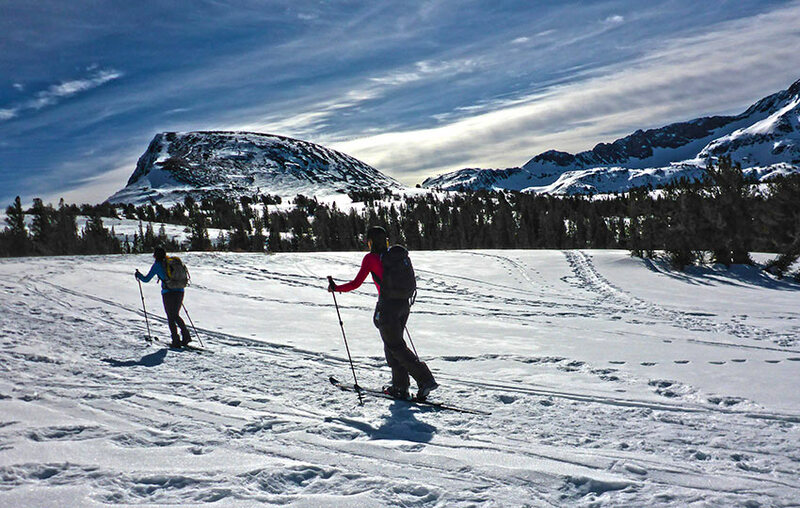 Free movement is a critical factor in being safe in the backcountry. Being trapped, isolated, or stranded miles from civilization can happen for many reasons. However, if it’s because you neglected to properly wax your skis and now snow is clumping to their bases and you’re completely exhausted from working too hard (since the skis no longer glide), well, maybe you deserve to be coyote food. Skis with appropriate glide wax applied to their bases will turn more easily, glide better, and require much less effort to run. All of these things make for a safer and more enjoyable experience off-track and in the backcountry. And, waxing your skis is something that you can control. Even if you’re skiing at a groomed cross-country ski resort or area, you could still run into problems if you haven’t properly waxed your skis. Some cross-country ski resorts feature well over 100km of trails, and some of those trails are relatively far from the ski center or parking lot. At the end of the day ski patrol makes a final sweep of the trails, but they ultimately can’t know for sure that everyone has gone home. You and the patroller might have actually passed each other like ships in the night. So, in that example, if you’ve reached the furthest point from the ski resort and are too tired to continue (because your skis won’t glide) you may wind up being, again, coyote food. The traditional theory about how cross-country skis glide across snow (with the aid of glide wax) is via “controlled friction.” This theory posits that a cross-country ski travels over the thin layer of water created by the friction (heat) between the ski and the snow (as the ski moves across the snow). When you hit the mark and use the correct glide wax for the conditions, the layer of water assumes the form of tiny beads thanks to the hydrophobic quality of the wax (imagine raindrops beading up on your vehicle’s fresh coat of wax). Then, the ski “rolls” over those beads. Based on the theory of controlled friction, the application of glide wax will either produce excessive friction (wax too soft for the conditions), the ideal amount of friction (wax appropriate for the conditions), or not enough friction (wax too hard for the conditions). Fortunately, glide waxes feature relatively broad temperature ranges, so it’s fairly easy to achieve good enough results with regard to choosing an appropriate glide wax for your cross-country skiing experience. An important feature of cross-country skis that works in conjunction with glide wax to produce good glide is the structure of the skis’ base. “Structure” is a term used in the world of snow sports (cross-country skiing, alpine skiing, and snowboarding) to describe the pore-like surface of the base of the skis. This structure serves to decrease the amount of suction a ski will experience. Suction occurs between the ski and the snow when the layer of water the ski is gliding over becomes too great and the structure can no longer effectively shed the excess water. Suction makes the ski stop. Visualize two nonporous surfaces stacked on top of each other with a layer of water between them. Pulling the surfaces apart would be difficult due to that layer of water (surface tension). However, if you substituted one of the surfaces (that’s in direct contact with the water) with one that’s pitted, the job would be much easier. In this example, the pitted surface represents the structure found in the base of a ski. Take that idea a step further by applying a thin layer of wax over the pitted surface and the two surfaces would most likely never adhere to each other at all. But, if the structure becomes clogged with excess wax, dirt, grime, debris, and/or too much water, the ski will not achieve glide, be difficult to separate from the snow, and generally just create an exhausting experience for you. I recommend picking up a copy of The Complete Guide to Cross-Country Ski Preparation by Nat Brown for a more in-depth discussion of preparing your skis. The book may be a bit cerebral for beginner skiers and people with little knowledge of skiing technique, but the information is presented in an easy to understand format. It’s an invaluable resource that provides a thorough overview of cross-country ski preparation, which ultimately will help you to become a better cross-country skier. Follow the Amazon link and you should be able to find some options for buying a used copy. Highly recommended and worth having in your library. But if you’re really, really eager to get going, here are two quick videos taking you through the entire process. The first features a 10-minute wax job, while the second highlights a fast 5-minute waxing operation. However, I would recommend for a more in-depth look at waxing your waxless cross-country skis to read and view the more thorough step-by-step tutorials found on the second part of this series (just follow that previous link). The following 5-minute wax job for your waxless cross-country skis will work when you’re short on time, but it shouldn’t be considered a long-term solution for waxing your cross-country skis. Even the 10-minute operation in the video above is more thorough and longer lasting. So, if you have the time I recommend performing that 10-minute version to ensure you’ll have a more fun and safe cross-country skiing adventure. I wrote and produced this collection of articles and short videos titled Waxing Your “Waxless” Cross-Country Skis with the beginner and intermediate cross-country skier in mind. 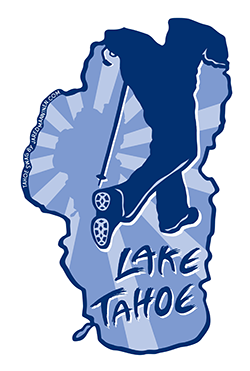 This is the demographic for whom I most often served while working in the outdoor recreation industry at Lake Tahoe, so I treat these blogs as extensions of the conversations I’ve had with those customers. That said, I’m sure expert skiers could take away something of value from these articles, too. Just know that I don’t intend to specifically address racing-oriented philosophy, technique, or gear selection. There’s far more qualified people than me out there to do that! Hello Jared! It would be interesting to know how the Kuzmin scraper suits the Sierra Nevada snow. Please write back. We’ve been getting pounded with lots of snow these past couple weeks and more to come, so it might be a little while before I get the time to test out the scraper. But when I do, I’ll definitely let you know how it goes! Interesting. I’ve been leaning toward less work on the skis as well, mostly so I can go ski quicker 🙂 I can’t understand the guy in the video (due to my lack of speaking the language), but it appears he’s using a metal scraper and really cleaning out a lot of the oxidized fibers. Looks like a solid operation! Thanks for including the video. Yes, Henrik in the video uses a Kuzmin hard metal scraper but there are a number of manufacturers of these kind of scrapers, like Skimateria and Skigo, that also sell rillers and other structuring tools and polishing products. Very interesting stuff. I may have to invest in one of those scrapers and give it a try. Although it may be challenging to find them here in the USA. Hey Magnus, thanks for the lead on these scrapes. Now I’ll definitely put it on my wish list and try to pick one up before the season is out. Because I live in the Sierra Nevada Mountains, I’m going to need one that accommodates about 0-4 degrees Celsius. I think the Kuzmin 017+, although we still get temps around -1 Celsius in the morning during most of the winter.